If it has been a long time since you have had a professional furniture cleaning you are probably wondering what it is like to have clean upholstery furniture. It is very common for people who get a regular carpet cleaning to find it easy to forget the importance of their couches, chairs, sofas and important furniture dirt and bacteria removal. 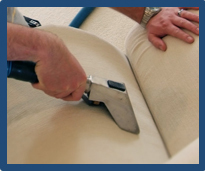 The truth is that your upholstery cleaning is just as important in maintaining and keeping clean as your carpets are. If you have not yet had your important furniture cleaned in a long time, you will be sure to see, feel, and smell the new difference that our expert cleaners will provide! At Tile & Grout Cleaning League City Texas, our trained and experienced cleaning specialists have all of the latest skills and state of the art equipment to bring back the life of your furniture while making your home look more new. We have many different methods we put to use when we clean your different furniture and materials. Our experts will choose the best fit solutions and products to delicately remove all of the dirt, grim, stains, spills, food, and unwanted scents in the most advanced manner possible. While we are cleaning your furniture, we will be sure to closely pay attention to heavy spots and stained areas while using the most fitting professional sofa cleaning technique to remove those unattractive stains best. The cleaning technique we choose for your furniture will mainly depend on the fabric it is made out of and other factors. 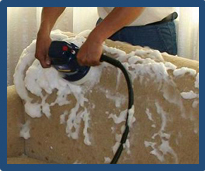 Our microfiber couch cleaning method is extremely strong and safe for all of your delicate fibers. We offer a large variety of different cleaning treatments and care products as well. These will help bring about the beauty of your furniture and sofas more strongly which will also protect them from receiving any dirt or stains in the near future. Some of our features include removing mold and mildew, deodorizing, disinfecting, sanitizing, removing mold or mildew, pet stains and odors treatment, and applying a stain resistant solution. We use a powerful vacuum to remove any of your furniture’s lose dirt, dust, dust mites, pollen, pet bacteria, and other type of allergens, which gives your couches and furniture the freshest look and feel until their next cleaning. When your sofa, loveseat, chair, or ottoman look like they could use a cleaning, call Tile & Grout Cleaning League City.